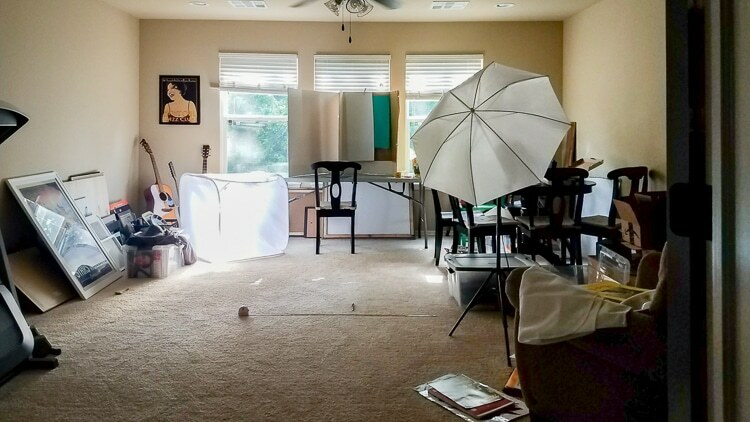 You are here: Home / DIY & Crafts / Game Room Makeover – Phase 1 is Complete! 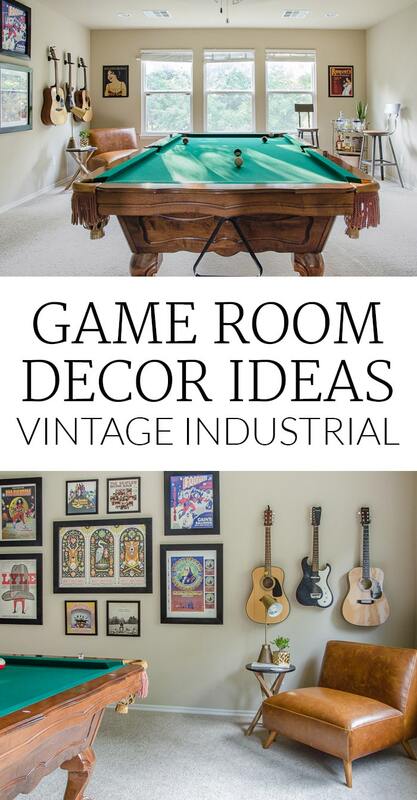 If you’re a newsletter subscriber, you got a sneak peek of the game room and story last week. But, I’ve already made changes! I also mentioned that Cost Plus World Market was opening in Tulsa last week, and I kid you not, I’ve been there 3 times already. 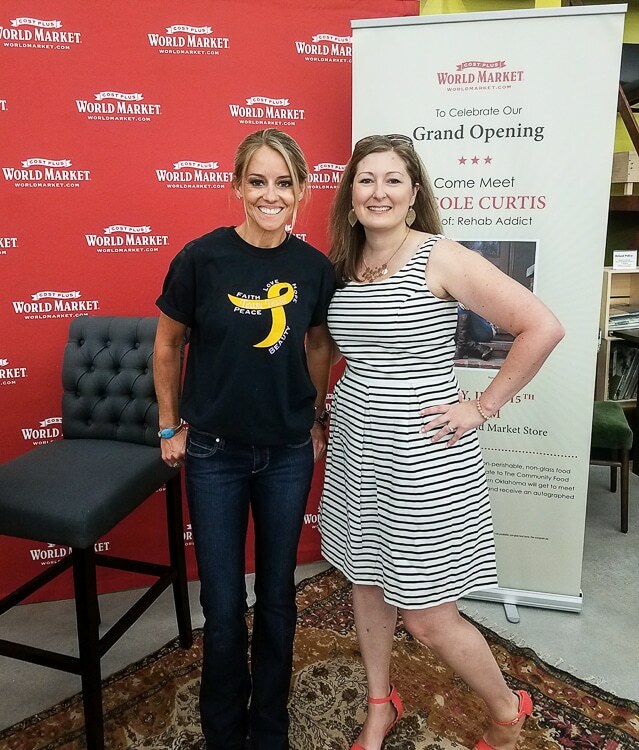 Technically, I was helping with a blogger event the first time, then on Saturday, I assisted them with the Nicole Curtis (Rehab Addict) meet & greet. Watching her take her time chatting with each person so kindly for two straight hours was inspiring. I can see why Cost Plus World Market picked her to represent them. As you can imagine, during those visits my eyes were darting around the store, getting all kinds of ideas. Everywhere I looked, there was cool furniture. We were set up in the dining & kitchen section, so of course, I found a new dining room table for my wish list. I came home with everything from chocolate (you NEED to eat their caramel waffle cone chocolate asap) and coffee to salt & pepper grinders. I tried to keep some level of self-control and save most of the gift card I received for helping out for something larger, especially since I had a 20% off coupon. Which brings us full circle to the game room! 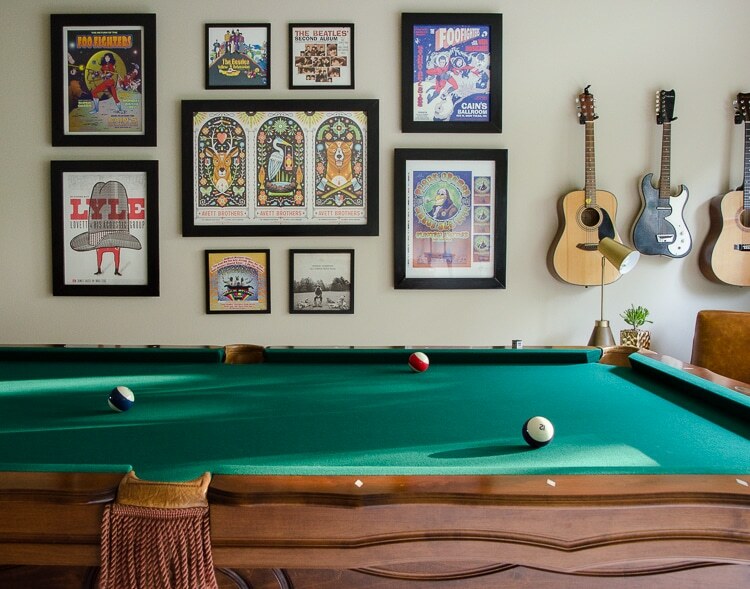 For the 5 years since we built this house, the game room above the living room has been referred to as the “pool table room”. We didn’t have a pool table! My husband has wanted a pool table pretty much the entire time we have been married, but we’ve always had space or budget barriers (or both!). He’s turning 40 this month, and I decided it would be an amazing surprise if I could get one in the house without him knowing. I came up with a freelance job to cover the cost of a high quality used table, and lucked into the perfect one locally. The only issue was that it could either arrive the day after my purchase, or a full month after his birthday. I opted to have it here early rather than late, which was tricky considering the “pool table room” had slowly been filled up with anything and everything that didn’t have another home in our house. I was focused on being a wife instead of a blogger so forgot to take great before photos, but I did snap this one with my phone. What a mess! Thankfully, my mom was willing to come help me. We only had two hours to clear the room between my husband going to work, and the pool table delivery happening. The setup process took several hours, and as soon as the guys were done, we jumped back into action hanging up art in the room. Remember the old concert poster gallery wall from the office? When we changed the office into my pink paradise, the gallery wall was set on the floor in the “pool table room”, hoping to one day be displayed again. Thank goodness, because we had some big blank walls to fill and these posters were perfect for one of them! 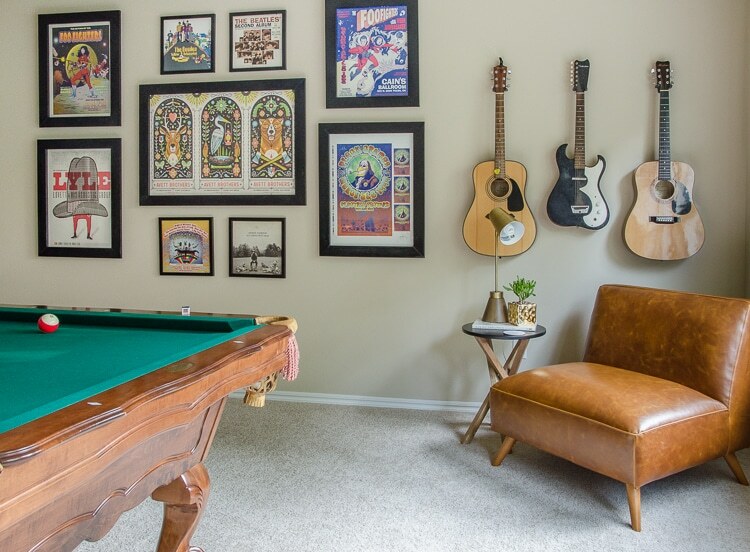 The combo of the posters and pool table were giving me a serious vintage industrial lounge vibe, which brings us all the way back to Cost Plus World Market. I spotted the coolest leather chair for one corner. Cost Plus World Market nailed the vintage design. Every time I walk into the room I can’t believe how perfect it is for the space. 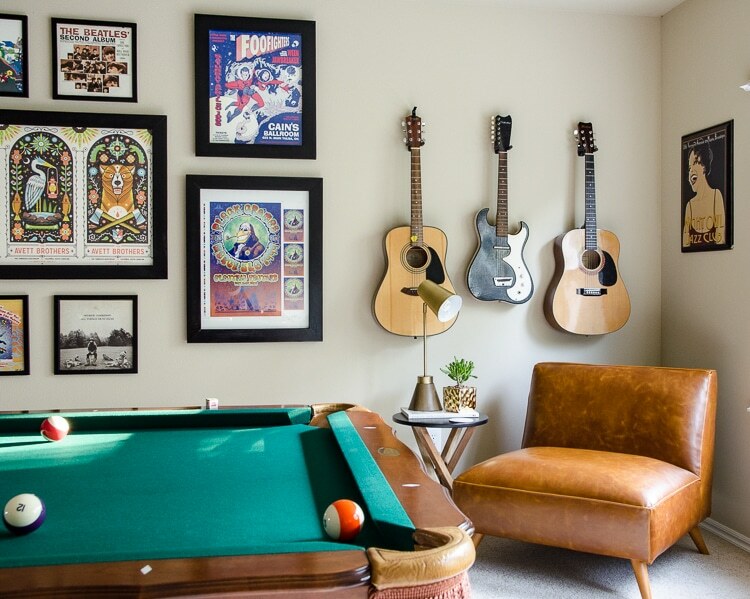 Adding wall hooks for the guitars turned them into art above the new chair AND created the perfect spot to store them. 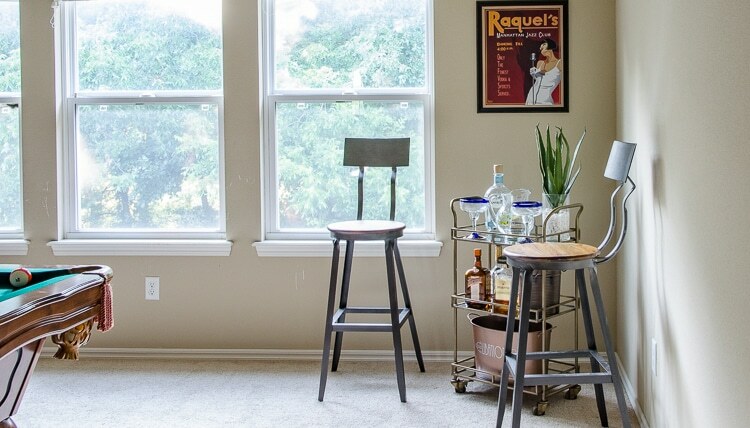 For the other side of the windows, we found some industrial barstools. The wood seats are a great compliment to the table and they are really comfortable. I went with the pub height, but they also come in counter height, which would look amazing in our kitchen. 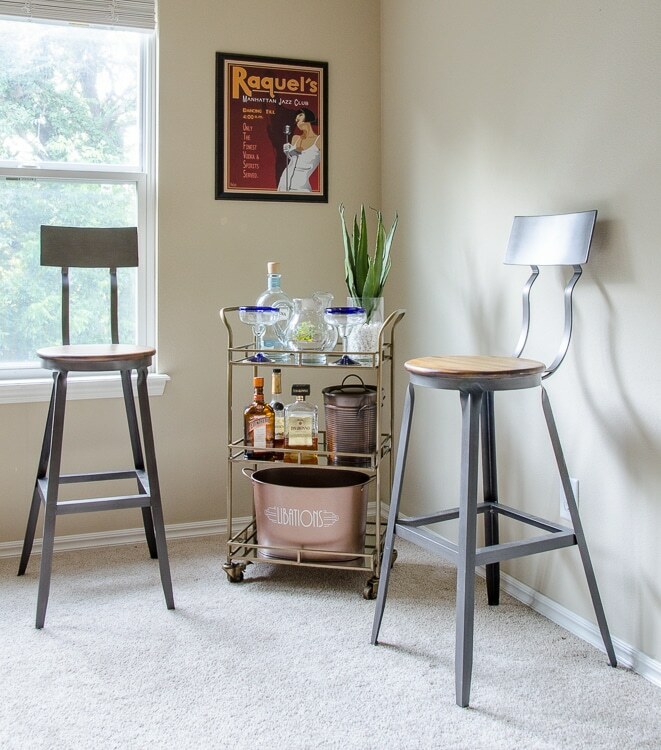 For now, I snagged the bar cart from the entry to serve as a table between the stools. Phase 2 of the room will including building a pub table, painting the entire room, new window coverings, an updated fan, AND a giant custom mural on the right side wall. Corey’s already got a sketch going for that – it’s going to be our house billiards rules! This is AMAZING!!! Perfect!! Surely your husband is thrilled beyond belief….Happy 40th Birthday – WOW!!!! First, I am crazy jealous you got to meet Nicole Curtis! I love her! Second, what an amazing wife you are for doing this!!! Third, I love that chair as much as you do! The room looks great! And Happy Birthday to your hubby!! !